The Stormlight Archives series includes 3 of the longest books I have read. Oathbringer is the longest book I have ever read at 1,248 pages. I don’t regret a single page, or moment spent with these books. This is the best fantasy series I have ever read, and though I am sure I could one day find something I love as much (or more) I am so so thrilled to know that I have years of new novels ahead of me. 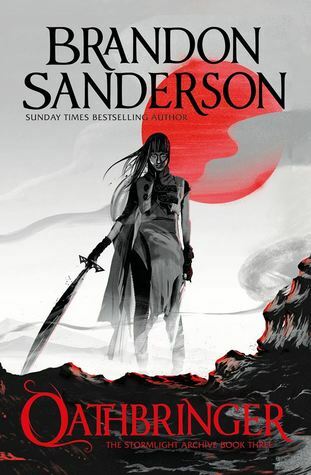 Though I love these books I wouldn’t recommend starting here if you want to get into Sanderson. Warbreaker was my first of his books, at a measly 688 pages. You could also start with The Final Empire. In all seriousness, I have a deep love of longer fantasy books. I find they bring something special to the table because of the amount of time you have to get to know the characters. That can work as a detriment, but in the hands of the right author, it’s an amazing experience. More recently I read The Priory of the Orange Tree at 848 pages. You can read my full review of that here. I absolutely love it, and I can’t wait for the official release next year. Here are a few other tomes that are definitely worth the time! Do you like reading longer books, or do you prefer shorter reads? I definitely like to mix it up! I really love Brandon Sanderson, but so far I’ve only read the mistborn trilogy. And the only reason for not yet having read any of his other books, is the size. All of them will take me forever to read..